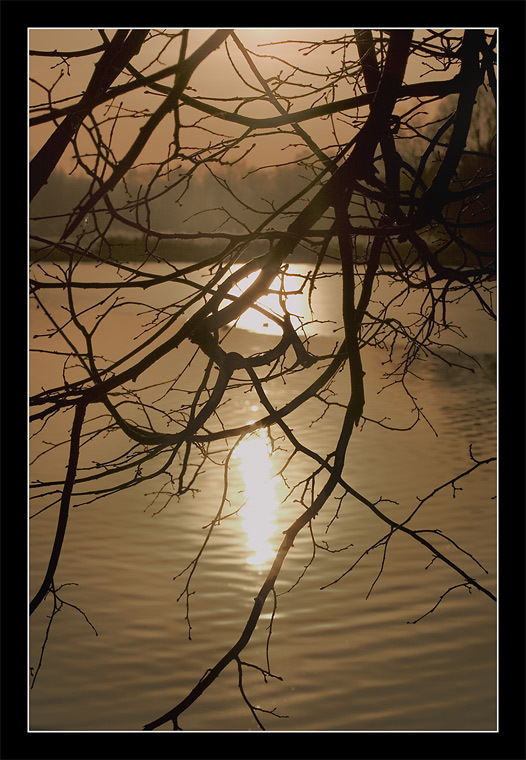 Photo "The nature gives us a pacification"
a nice textured fg.. and beautiful light and tones.. reflections.. and that mist bg..
an image very well captured, Valeria.. Very beautiful the warm light and tones good contrast with the branches, well composdd and defined! Pleasant composition and light. Best regards. переплетение ветвей, как переплетения событий жизни..
Действительно, фото для спокойного созерцания!